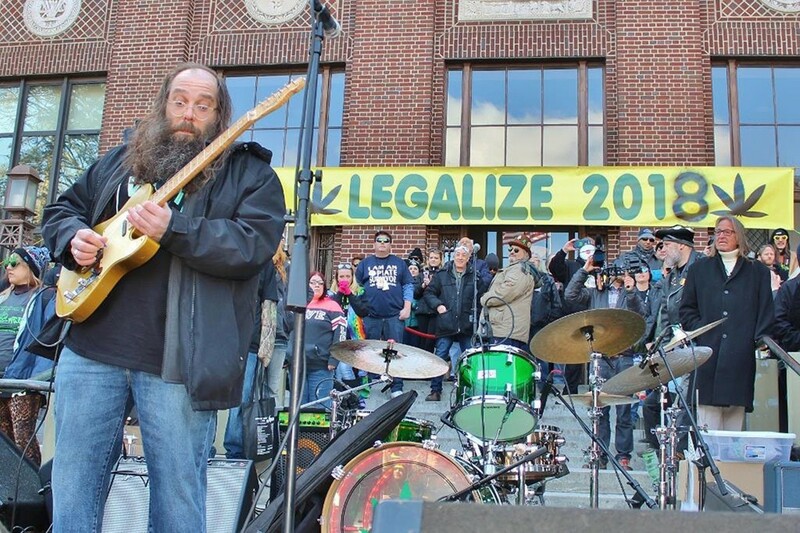 Laith Al-Saadi performing at the 2018 Hash Bash. There is excitement around the 48th Ann Arbor Hash Bash, because it's the first one since Michigan voters legalized marijuana for adult use. This one is special, a chance for folks to gather and savor a big win at the event that has been the most public face of marijuana and pushback against prohibition in the state. 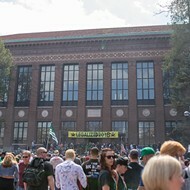 Hash Bash — which will be held Saturday, April 6 at the U-M Diag — has been a beacon of hope to some, and an opportunity to flaunt the civil disobedience of openly smoking marijuana. "It feels very significant," says Nick Zettell, a Hash Bash organizer. "It's really exciting as someone who's been a part of Hash Bash and observing it as an intersection of cannabis culture and cannabis politics, to see a victory for both is very exciting. This is a victory for the advocates, the people who have been pushing for better policies. Hash Bash is a holiday, more than just a protest. People see it as a time they can come out of the cannabis closet and convene about ending the stigma. People will be very celebratory now." The first bash back in 1972 was actually the first one where weed was legally consumed. 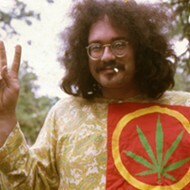 The state supreme court had declared that the law used to convict activist John Sinclair for marijuana possession was unconstitutional. The consequence was that marijuana became legal in Michigan for three months. A new law was created and was scheduled to go into effect after the first weekend in April. 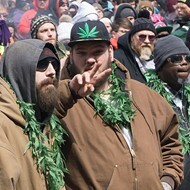 The first gathering took place April 1, although it wasn't dubbed the Hash Bash until year two. Now it's always celebrated the first Saturday in April. There will be a notable first at this rally, with Rep. Debbie Dingell scheduled to speak. Hash Bash has featured politicians and even a presidential candidate in the past, but this will be the first time a sitting federal officeholder will address the crowd. That indicates that not only has the political tide turned in Michigan, but it also suggests that it's turning at the federal level. It's certainly turned across the country for voters, who give 62 percent support to the idea in recent polls. That's certainly something bash organizers have in mind. In the past few years, there was a focus on petition drives and getting out the vote in Michigan. A lot of this year's speechmaking will focus on ending federal prohibition, not to mention improving the legal climate in Michigan as adult use is enacted. 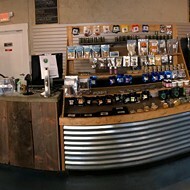 The stigma against marijuana still drives a lot of policy, such as in communities that have opted out of allowing marijuana stores within their borders. "Legalization is not a one-and-done fix," says Zettell. Expungement of records for folks convicted of nonviolent offenses, as has been done in other states, is one of those follow-up issues. Still, this is a moment when people should be allowed to stop and savor the feel of victory — when they can smile a little wider and hold their joint, or blunt, or pipe, or vaporizer, or edible, a little higher. It's a moment where people can feel a little safer in their advocacy and show a little defiance. It's times like these that hearten you for the continuing battle. Ann Arbor has long been the place where this could happen. State Sen. Jeff Irwin, a longtime supporter on the political side, will be there for the first time as a senator. His many appearances at the Bash as a state representative serve as proof that one can support marijuana and still move up in your career — possibly due in part to that support. "Ann Arbor has been such an important home for the cannabis legalization movement," says Zettell. "It's associated with radical activism, even though it is changing quite a bit I don't think that reputation will go away. It is fertile soil for other drug policy reform. There is less stigma. The Hash Bash played an important role in reducing the stigma." 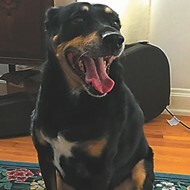 Other municipalities that have turned their backs on marijuana out of fear should take a look at Ann Arbor, which has embraced it. Hash Bash-related events have fanned out into the surrounding areas. 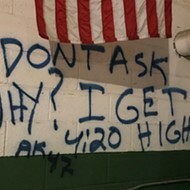 As has been the case in recent years, the Bash has grown to include the Michigan NORML Spring Conference on Friday at the Fraternal Order of Eagles in Ypsilanti; the Hash Bash Cup Fri. through Sun. at the Wyndham Garden Hotel; the Hash Bash rally, the Monroe Street Fair, and Hash Bash Late Night at the Blind Pig on Saturday; and the Athletes & Cannabis Panel Discussion at Rackham Auditorium on Sunday (details with times and contact information can be found at freedomactivist.net/hashbash.html). Guitarist Laith Al-Saadi, a recent finalist on The Voice television show, will be there to render the opening "Star Spangled Banner" — Jimi Hendrix style. Seed pioneer DJ Short will be there, as well as Sinclair, the man whose suit against the state began this whole journey that is now a cause for celebration. And while it is legal to have marijuana in Michigan now, a no-smoking regulation is in effect on the University of Michigan grounds. Nobody got arrested last year, even though there was plenty of smoking going on during the event. Apparently it's not a police priority to bust people during this particular festivity. On a warm day, the Hash Bash has been known to draw 10,000 or more people. The legalization victory in November brings a celebratory mood that might expand the crowd to numbers not seen before in Hash Bash history. "I do think that legalization will drive the crowd by quite a bit," says Zettell. "4-20 is an important day to observe, but Hash Bash is really our cannabis holiday ... a lot of people may decide to experience it for the first time, or for the first time in 20 years." There's a banner that's been a backdrop for the Hash Bash the last few years. First it was "Legalize 2016." Then it was "Legalize 2018." This year's will read "Legalized 2018." Now that's something to celebrate! While the Michigan State Police call for extension and expansion of a pilot program of roadside saliva testing in an effort to determine if drivers are impaired by drugs, the whole thing might just fall apart. An article posted on the American Civil Liberties Union blog claims that "Roadside saliva testing is probably unconstitutional." The piece points out that these tests do not measure impairment, and that with no warrant it's an invasion of privacy, along with other arguments. When the ACLU says something is unconstitutional, I see this headed for litigation. It looks like John Sinclair's social hangout at the Psychedelic Healing Shack in Detroit is already over before it ever really got started. There was plenty of ballyhoo about this place kicking off, but in the end Sinclair and Dr. Bob Pizzimenti didn't see eye to eye on what it was all about. So it's all over now. Things come and go quickly in this environment. Remember the CBD cocktails at Ale Mary's, another topic we covered here in Higher Ground not that long ago? Health officials ended that and several other establishments adding CBD to food items. There's still a lot of shaking out to go down as we figure this all out.